The first European settlers arrived in Western Pennsylvania during the 18th century. The Old World and new collided on the frontier, as Europeans and Africans encountered the native Lenapes, Shawnees, and Iroquoian-speaking Mingoes. The often violent frontier became a cultural mixing ground. American Indians traded furs and deerskins for a wide variety of European goods. Backcountry settlers in turn adopted native food crops, articles of clothing, and forest survival skills. Despite their many cultural differences, Indians and Europeans shared a common, vital need for the land and its natural resources. 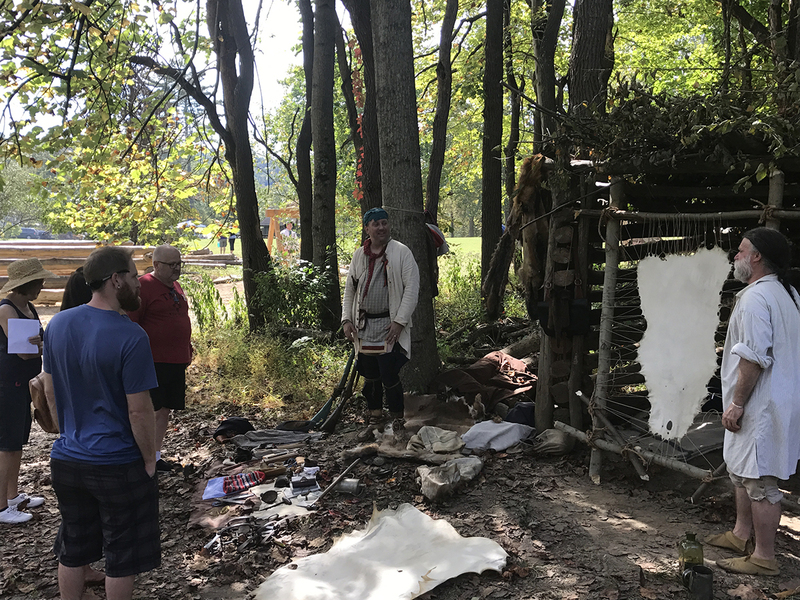 At the 1770s frontier trading post, visitors will visit a trading shelter typical of the first few years of European settlement in Western Pennsylvania and learn about the many challenges both Native people and European settlers faced as these cultures came together.